here are 250 trees per hectare in a 70-year-old forest, which means that one Black Bear plant prevents CO2 emissions equal to that stored per year in a 4000-ha forest. Every year, more than 1.5 billion tires are removed from vehicles and disposed of,creating around 13.5 million tons of solid waste. More than half of these tires are burned or land-filled, often in parts of the world where environmental controls are poor or non-existent. Due to the tire’s shape, landfilled tires are a great breeding ground for malaria mosquitos which reside in the still standing water remaining in the tires. 2.4 billion tires are manufactured each year requiring around 7.2 million tons of ‘furnace’ carbon black produced from fossil fuels. Black Bear’s process uses end-of-life tires as a feedstock to produce consistently high-quality Carbon Blacks. This circular economy approach not only solves an important waste management problem but also massively reduces CO₂ emissions. An independent LCA (Life Cycle Assessment) has been performed to measure and validate Black Bear’s environmental impact. The environmental impact of the Black Bear process is ‘net negative’. This means that we take more CO₂ out of the atmosphere than our operations cause. The key driver of this net negative impact is the production of energy in our process, which otherwise would have to be produced using fossil fuels. The Black Bear process not only produces Carbon Black, but also energy – 1.6 MWe and ~1 ton of oil per ton Carbon Black. When we reach our full potential of repurposing every end-of-life tire with our circular solution, we will reduce global annual oil consumption by more than 215 million barrels, by replacing fossil-fuel-based furnace Carbon Blacks. 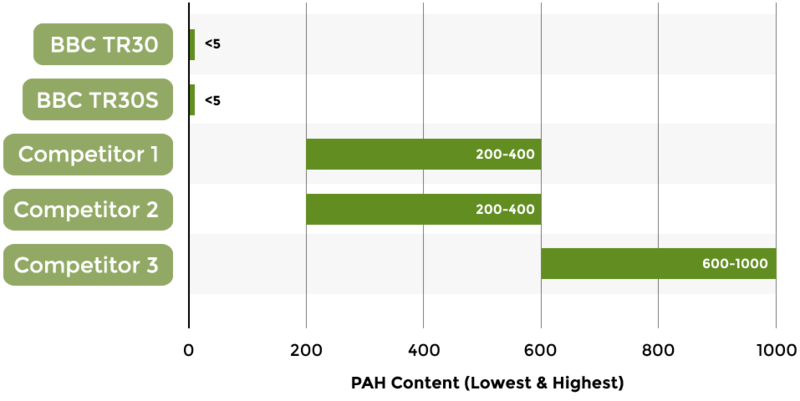 In the production of furnace Carbon Blacks, PAHs (carcinogenic materials) are typically formed. The Black Bear process effectively removes these PAHs from the Carbon Black. Therefore, our recovered Carbon Black is guaranteed to be safe to handle and safe for the environment. It is non-toxic and has lower PAH levels than all furnace Carbon Blacks. 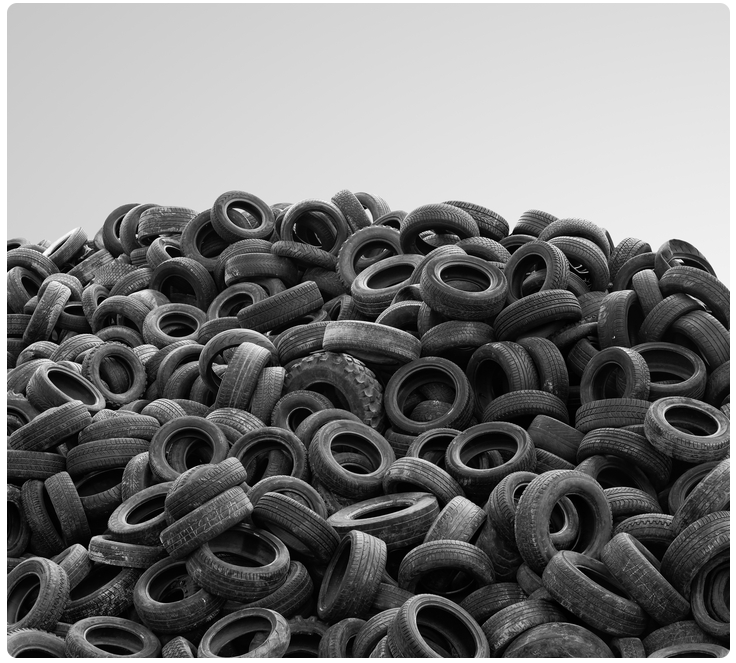 Every year, more than 1.5 billion tires are removed from vehicles creating around 13.5 million tons of solid waste. 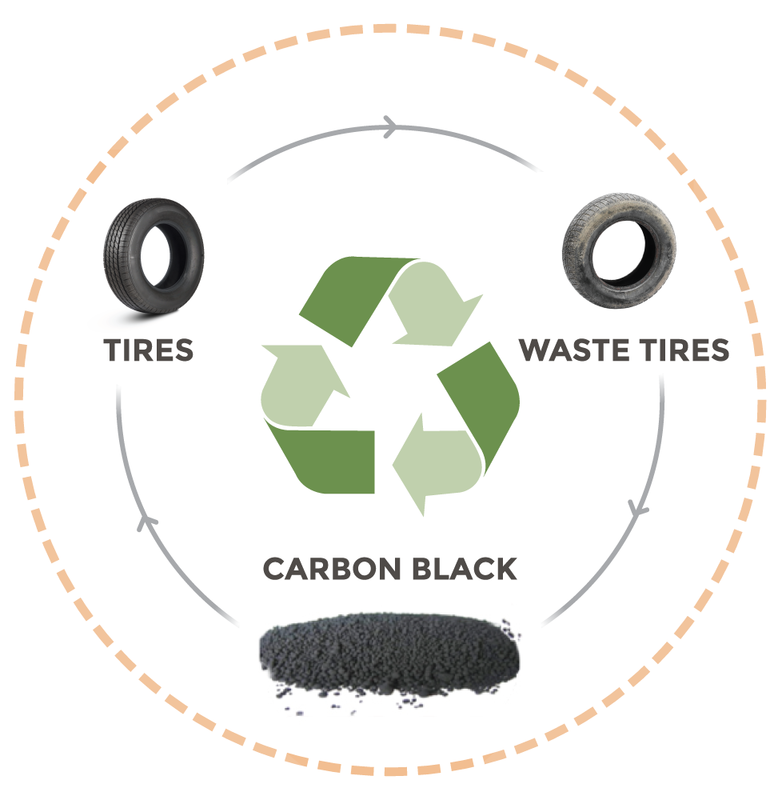 Black Bear’s process uses end-of-life tires as a feedstock to produce consistent, high quality carbon blacks. An independent LCA has been performed to measure and validate Black Bear’s environmental impact. The environmental impact of the Black Bear process is net ‘negative’. 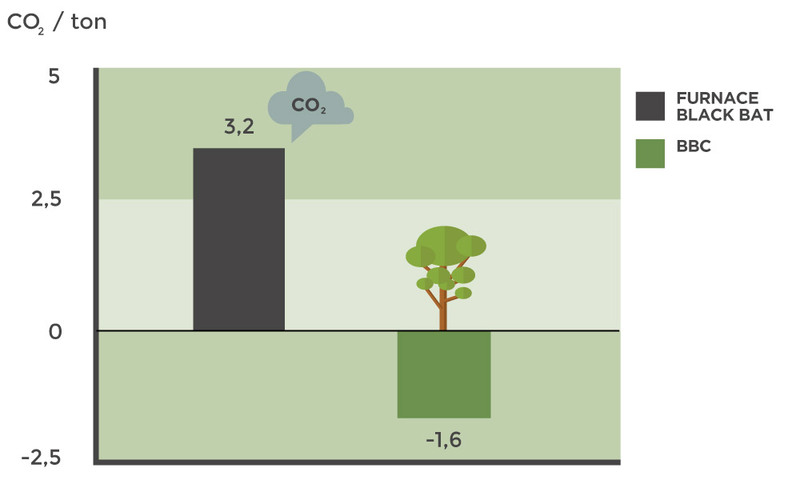 This effectively means that we take more CO₂ out of the atmosphere than we consume. Key driver of this net negative impact is the production of energy in our process, which otherwise would have to be produced using fossil fuels. The BBC process not only produces carbon black, but also energy – 1,6 MWe and ~1 ton of oil per ton carbon black. In the production of furnace carbon blacks PAHs (carcinogenic materials) are typically formed. The Black Bear process effectively ‘cleans’ these PAHs of the virgin carbon black material. Therefore, our green carbon black is guaranteed to be safe to handle and safe for the environment. It is non-toxic and has lower PAH than all furnace carbon blacks.